How much more abuse are public school educators willing to accept? Where is all of the nation-strangling reform-stopping teacher union power that demagogues rail against at election time? America doesn’t need fewer unionized teachers it needs more. We don’t need weaker unions, we need to replace the Vichy leadership and get tough. We needsmore strikes too. How many kids have to die in Philadelphia schools before teachers walk out? You want to steal my pension? Shut the sucka down. You want to slash the school budget to a dangerous level? The kids and I will be in the street. You want me to spend several months each year proctoring standardized tests? I’ll be in my car. Want to replace teachers with YouTube videos? I’ll trip over the power cord. I know, most of you reading this are Americans. Ronald Reagan taught you that going out on strike makes Jesus weep and the evil doers win. I”ve been working across Australia for decades and have gained a different perspective on teachers and protest. When a state minister of education said something that offended teachers, they shut the system down. I know. I know. Strikes are “not allowed.” Standing up for what’s right wipe away our patina of martyrdom, However, a wise Aussie colleague of mine said that withholding one’s labor is a fundamental human and civil right. Otherwise, we are just slaves. This is an incredibly dark period for education. Perennial challenges are now accompanied by name-calling and public policy based on “getting tough” with third graders. Perhaps decision-makers just don’t know what learning in the digital age could look like. They need to see how kids not only learn old things in new ways, but construct personal understanding of powerful ideas in a rigorous computationally-rich fashion. Computers are today’s dominant intellectual laboratories and vehicles for self-expression. Computers offer kids the means of production for learning via previously off-limit domains, including: music composition, filmmaking, robotics, computer science, journalism and engineering. If only there were a place where compelling models of new educational practice could be shared… Welcome to NECC! A few years ago, educators ceased talking about computing and started talking about technology. Suddenly computing, this remarkable invention of 20th century ingenuity, capable of transforming every intellectual domain, was dead without so much as an obituary. Conference speakers soon spoke of computers being just technology – like a zipper or Pez dispenser. This rhetorical shift liberated educators from learning to use computers, rethink the nature of curriculum or change practice to embrace the expansive opportunities afforded by computing. Information became the focus, not what kids do with computers. In the mid-1970s my junior high required every 7th grader to learn to program a computer in nine weeks. The feelings of intellectual elation I experienced programming are indescribable. I didn’t know what was impossible so everything was possible. The computer amplified my thinking and the habits of mind I developed in Mr. Jones’ class serve me every day. How do your children’s school computing experiences compare? Do all students have access to creative tools anytime anyplace? Does the school culture inspire a thirst for knowledge and support authentic project-based work? We’ve lowered standards when twelve year-olds in my junior high are NOW being taught to find the return key in a mandatory keyboarding class. Someday they may be “taught” to surf a filtered locked-down crippled Web incapable of downloading, rich media or collaboration all in the name of preparing them for the future. Some future. Adults talk of how kids know so much about computers, how they are so competent, confident and fluent. Then those kids come to school and are treated like imbeciles or felons. Kid power is a gift to educators. We need to build upon those gifts and channel their students in directions they might not know exist. If kids came to school readers, we wouldn’t grunt phonemes at them. We would read better literature. When many of us first attended NECC, we viewed the personal computer as not only a window on the future, but a microscope on the past. We knew how all sorts of learners exceed our wildest expectations when equipped with computers and constructionist software. Personal experience illuminated how the existing pencil-based curriculum was failing kids. Optimism filled the air. Look around and you might conclude that the state-of-the-art includes: classrooms as game shows; data mining to justify standardized testing; reading as a winner-take-all race; and hysterical network security. “Technology” is being touted as a way to centralize control and breathe life into the least effective teaching practices of yore. Widespread consensus is hard to achieve, especially on complex matters like education. Nonetheless, the educational computing community seems to have decided that our children should look forward to a future filled with testing and Microsoft Office instruction. Tests about Microsoft Office could achieve two national goals. NECC attendees are pioneers entrusted with helping schools realize the potential of the imagination machine and as Gladwell suggests serve as the 10th Fleet in revolutionizing the context for learning. Go home and share the fabulous ideas you collect here in the Big Easy, but remember that the kids you serve expect big things from you and it won’t be easy. 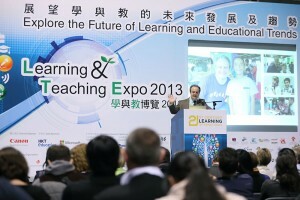 Gary S. Stager is a teacher educator and adjunct professor at Pepperdine University. He has spent the past ten years working with a dozen Australian schools in which every student and teacher has a laptop computer. Educational reform is too often equated with plugging students into anything that happens to plug in. 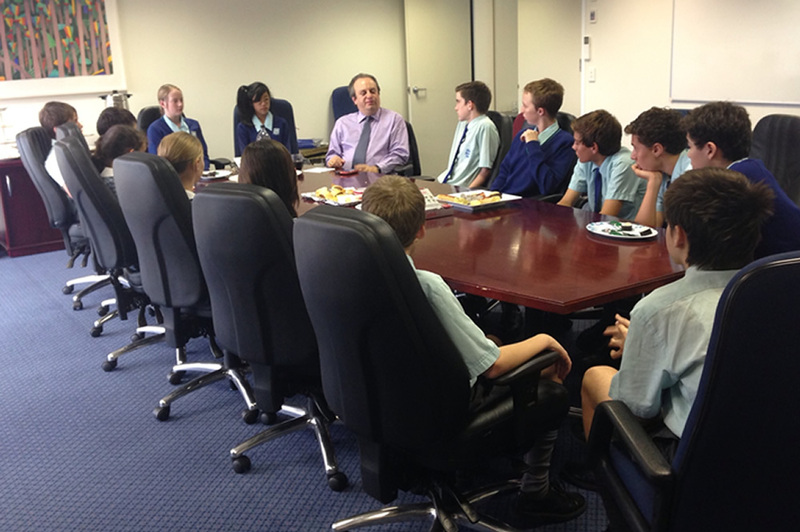 Technology-rich Australian schools lead the way in helping teachers use technology thoughtfully. Many educators believe that technology alone will lead to innovation and restructuring in schools. Unfortunately, they either do not include staff development in the equation, or they provide programs that do little more than ensure that teachers are able to unjam the printer or use one piece of canned instructional software. 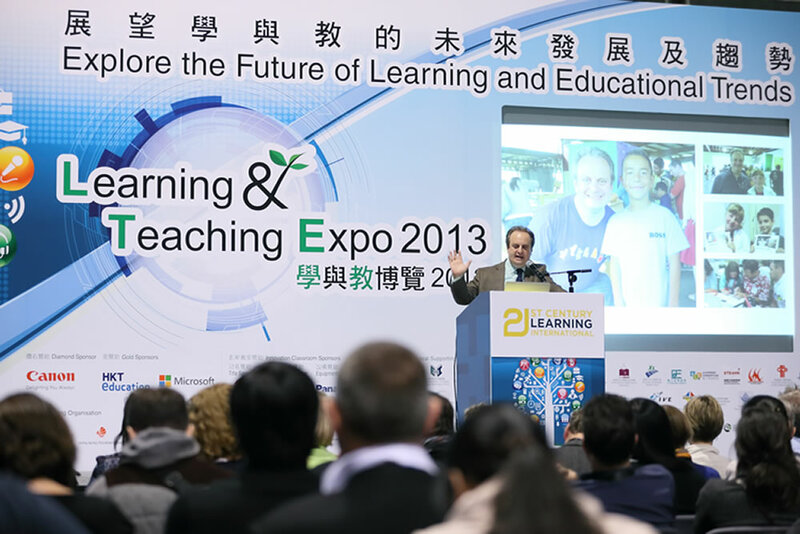 Having developed a number of professional development models for a dozen schools in Australia and more in the United States, I believe computer-related staff development should immerse teachers in meaningful, educationally relevant projects. These activities should encourage teachers to reflect on powerful ideas and share their educational visions in order to create a culture of learning for their students. In brief, teachers must be able to connect their computer experience to constructive student use of computers. In 1989, Methodist Ladies’ College, an independent pre-K-12 school with 2,400 students, embarked on an unparalleled learning adventure. At that time, the Melbourne school made a commitment to personal computing, LogoWriter, and constructivism. The governing principle was that all students, grades 5-12, should own a personal notebook computer on which they could work at school, at home, and across the curriculum. Ownership of the notebook computer would reinforce ownership of the knowledge constructed with it. Approximately 2,000 Methodist Ladies’ College students now have a personal notebook computer. Dozens of Australian schools (called “laptop schools”) are now in various stages of following the lead of Methodist Ladies’ College in computing and are now using some of the professional development models created during my five years of work there. Many schools find the task of getting a handful of teachers to use computers at even a superficial level daunting. The laptop schools expect their teachers not only to be comfortable with 30 notebook computers in their classroom, but also to participate actively in the reinvention of their school. In such progressive schools, staff development does not mean pouring information into teachers’ heads or training them in a few technical skills. Staff development means helping teachers fearlessly dream, explore, and invent new educational experiences for their students. I have employed three staff development strategies – in-classroom collaboration, “slumber parties,” and build-a-book workshopsæin many laptop schools. All three model constructivism by providing meaningful contexts for learning, emphasizing collaborative problem solving and personal expression, and placing the learner (in this case the teacher) at the center of the learning experience. Each school values and respects the professionalism of the teachers by acknowledging the knowledge, skills, and experience each teacher possesses. 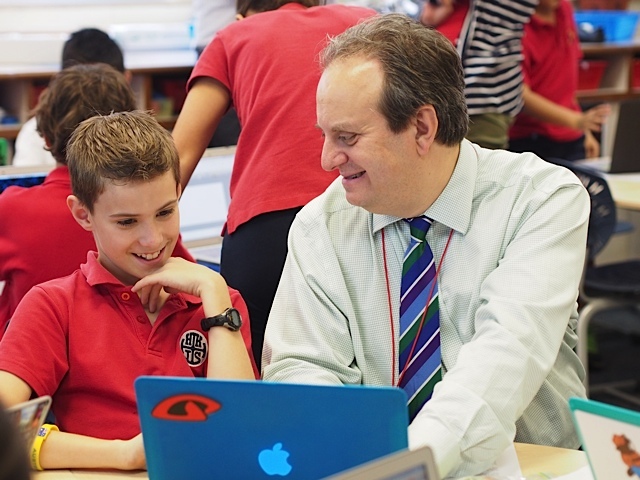 Several Australian laptop schools have used the in-classroom model I developed working in the Scarsdale, New York, and Wayne, New Jersey, public schools. This collaborative form of teacher development places the trainer in the teacher’s classroom to observe, evaluate, answer questions, and model imaginative ways in which the technology might be used. The collaborative spirit and enthusiasm engendered by the trainer motivates the teacher, who feels more comfortable taking risks when a colleague is there to help. Implementation is more viable because this professional development occurs on the teacher’s turf and during school hours. Project brainstorming. Before we are even sure that the teachers know how to turn on their computers, we ask them to identify projects they wish to undertake during the workshop. The projects may be collaborative, personal, or curriculum-related, and they need not relate to the subjects they teach. Powerful ideas. Each day begins with a discussion of a relevant education issue or philosophical concern. Topics might include the history of Logo and your role in technological innovation (what the school has already accomplished); process approaches to learning; or personal learning stories. The topic for the final day, “What does this have to do with school?” is designed to help teachers reflect on their workshop experiences and make connections to their role as teachers. Problem solving off the deep end. One or two problem-solving activities are planned to demonstrate how teachers can solve complex open-ended problems through collaborative effort. These exercises help the participants to understand that not every problem has only one correct answer and that some problems may have no answers. Slumber parties are offered on a regular basis. Because the primary goal of the workshops is to support a learning community, teachers and administrators are encouraged to participate in more than one. Participants gain appreciation for the power and expressive potential of LogoWriter. And, they are reminded that their colleagues are creative, imaginative learners like themselves. The origin for these workshops is based in the book, Build-a-Book Geometry. The book chronicles the author’s experience as a high school geometry teacher who spent an entire year encouraging his students to write their own geometry text through discovery, discussion, debate, and experimentation. It provides an exciting model for taking what teams of students know about a concept and then giving them challenges built upon their understanding or misunderstanding of it. The teacher then uses the responses to elicit a set of issues to which another team will respond, and so on. Throughout the process, each team keeps careful notes of hypotheses, processes, and conclusions, then shares these notes with the other teams during the process of writing the class book. Healy’s ideas inspired a format that addresses confusing topics through discussion, problem solving, collaboration, and journal writing. Before the workshop, I ask each participant to identify three LogoWriter programming issues that they do not understand or that they need to have clarified. Small teams of teachers spend hours answering the questions and explaining numerous programming (and often mathematical) issues to one another. This exercise stresses the most important component of cooperative learningæinterdependence. When each group has answered all questions to its collective satisfaction, each teacher meets with a member of another team to explain what his or her group has accomplished. Participants explore emerging questions through projectsædesigned by the leaderæthat are intended to use increasingly sophisticated skills. For example, teachers discuss the concept of programming elegance as they review student projects, and they keep careful notes of their programming processes, questions, and discoveries. These collective notes are included in the class book (disk). This disk becomes a valuable personal reference that the teachers can use in their own classrooms. Teacher assessments of the residential workshops have been extremely positive. And, the quality of the experience makes the cost quite low when compared with the cost of providing an ongoing series of two-hour after-school workshops. Schools routinely spend much more time teaching concepts in bite-size chunks, while leaving real learning to chance. Following are some guidelines for successful technology implementation. Because schools have limited technological and teacher development resources, those that do exist should be allocated prudently. If energy and resources are focused on creating a few successful models of classroom computing each year, the enthusiasm among teachers will be infectious. Of course, the selection of models must be broad enough to engage teachers of differing backgrounds and subject areas. It should not be surprising that teachers without sufficient access to computer technology don’t embrace its use. How many workshops must a teacher attend to get a new printer ribbon? How long must a teacher wait to get enough lab time for his or her students to work on a meaningful project? The idea that schools should not buy computers before the teachers know what to do with them must be discarded. Administrators must articulate a clear philosophy regarding how the new technology is to be used and how the culture of the school is likely to change. Communication between teachers and administrators must be honest, risk-free, and comfortable. Administrators must constantly clarify the curricular content and traditions the school values, as well as specify the outdated methodology and content that is to be eliminated. Teachers must be confident that their administrators will support them through the transitional periods. Work on the teacher’s turf. Those responsible for staff development should be skilled in classroom implementation and should work alongside the teacher to create models of constructive computer use. It is important for teachers to see what students can do; this is difficult to accomplish in a brief workshop at the end of a long workday. Schools must ensure that teachers understand the concepts of collaborative problem solving, cooperative learning, and constructivism. Accordingly, teachers must have the opportunity to leave behind the pressures of family and school for several days in order to experience the art of learning with their colleagues. Off-site residential “whole learning” workshops can have a profoundly positive effect on a large number of teachers in a short period of time. Nothing dooms the use of technology in the classroom more effectively than lack of support. Administrators can support teacher efforts by providing and maintaining the technology requested and by providing access to a working printer and a supply of blank disks. Many educators feel considerable pressure to constantly find something new to do with their computers. Unfortunately, this newness is equated with amassing more and more software. It is reckless and expensive to jump on every software bandwagon. The use of narrow, skill-specific software provides little benefit to students. Choose an open-ended environment, such as MicroWorlds, in which students can express themselves in many ways that may also converge with the curriculum. Staff development experiences should be engaging, interdisciplinary, collaborative, heterogeneous, and models of constructivist learning. Recognize teachers who have made a demonstrated commitment to educational computing. Free them from some duties so they can assist colleagues in their classrooms; encourage them to lead workshops; and give them access to additional hardware. Provide innovative teachers with the in-school time and the resources necessary to develop curriculum and to conduct action research. Encourage teachers to reflect on significant personal learning experiences. Encourage them to share these experiences with their colleagues and to discuss the relationship between their own learning and their classroom practices. Formal action research projects and informal get-togethers are both effective. Teachers routinely relate that their most beneficial professional development experience is the opportunity to talk with peers. Schools should help fund 50-80 percent of a teacher’s purchase of a personal computer. This support demonstrates to teachers a shared commitment to educational progress. Partial funding gives teachers the flexibility to purchase the right computer configuration. Consider offering an annual stipend for upgrades and peripherals. No one approach to staff development works for all teachers. Provide a combination of traditional workshops, in-classroom collaborations, mentoring, conferences, and whole-learning residential workshops from which teachers can choose. Although many administrators dream of providing only a handful of computers in their schools, the reality of what is happening in schools across Australia requires serious consideration. Universal computing is in our future, and staff development programs must be geared to that fact. Modern staff development must help teachers not only embrace the technology, but also anticipate the classroom change that will accompany widespread use. We must recognize that the only constant on which we can depend is the teacher. Our schools will only be as good as the least professional teacher. Staff development must enhance professionalism and empower teachers to improve the lives of their students. Our children deserve no less.